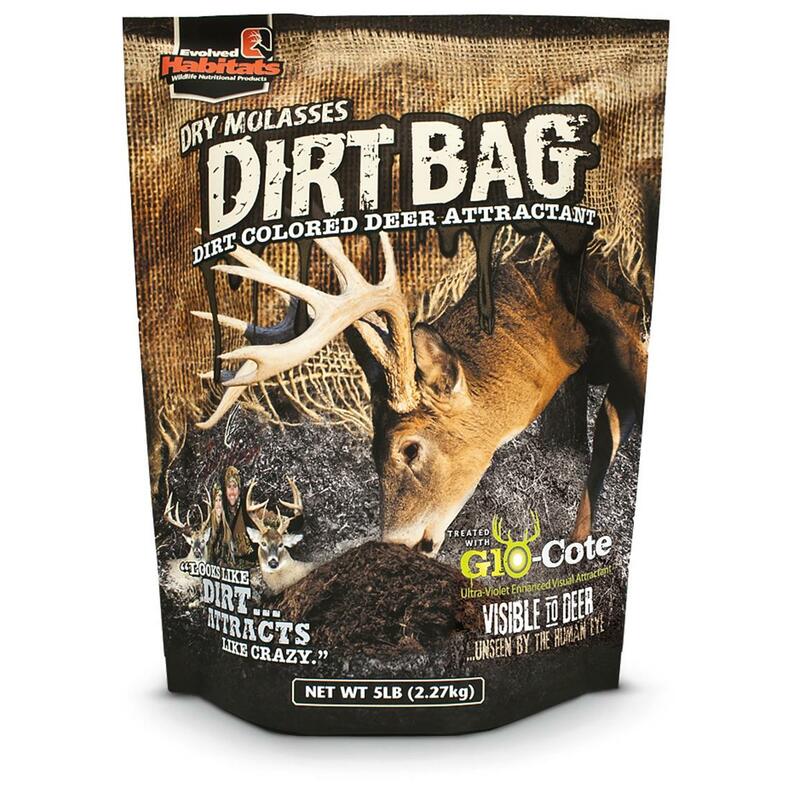 Bag of Evolved Habitats Dirtbag Deer Attractant, 5 lbs. Bag of Evolved Habitats Dirt Bag Deer Attractant, 5 lbs. Give the deer what they want. Drive them right where you want them! This powerful, proven Attractant is guaranteed to bring in the bucks. Looks just like dirt but has the aroma of dried molasses to drive deer wild. Deer won't be able to stay away! 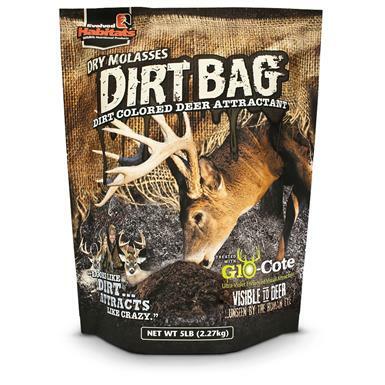 Bag of Evolved Habitats Dirtbag Deer Attractant, 5 lbs. is rated 5.0 out of 5 by 1. Rated 5 out of 5 by Tbone from Works good I have use this product for years, deer like to come check it out and it blends into the natural surrounding. Ani-Logics Mineral Dirt 180, 10 lbs. Ani-Logics Supplement 365, 20 lbs. Protect your herd with the power of proven science! Delicious and nutritious. Deer can’t pass it up. Put science to work for your deer.